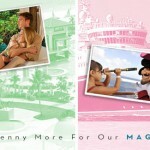 You will NEVER pay a Penny more for our Magical Services! Your cost is the same as if you booked your trip yourself with the vendor. In some cases we may be able to save you money! With so much information out there available to you, it can be overwhelming. Let us take the stress off of you. We will do the leg work. An example of a benefit when booking with us is that we are on top of all the new specials and promotions. This means when a new promotion becomes available, and you qualify, we will go in and apply it to your reservation. You will also have someone there for you throughout the entire process of your vacation. We are here to help guide you to choose the best accommodations that fit your budget, and answer any questions along the way. What makes Travel Source One different from other travel agencies? We go the extra mile! We are literally there for our clients through the whole process to answer any questions, comments or concerns. We truly want your vacation to be unforgettable, and we will do everything in our power to do just that! And don’t forget we are always just a phone call away if you ever need us. Just have a great time and leave the stress to us! Will I work with the same travel agent through my entire vacation process? Absolutely! You can rest assured that they will be there for you and will know all of your wants and needs. What if I’ve already booked my Vacation? Not to worry, you can have your reservation transferred over to our agency. It’s a very simple process. You can actually start the transfer process here on our website. NOTHING changes to your reservation at all! Once we obtain the transfer, we will then go in and make sure you are booked with the best rate possible and see if we can save you any money! So many people book their vacations on their own and are sitting there with no idea that they are booked in a promotion window! We can’t tell you how many times we’ve called clients to let them know that we’ve saved them money by just putting in a promo code! Most of them would have never known to do this on their own! How will I get in touch with my travel agent? You will have our email address, as well as our cell phone numbers, to use at your leisure. Can you help me with all of my vacation needs? Yes, we sure can! We specialize in all things Disney, but we also book all inclusive vacations, cruises and weekend getaways just to name a few! Definitely! We enjoy meeting our clients. However, we also understand that schedules sometimes get in the way. We are always available via email and over the phone. Yes! We have clients that do just that. We will also personalize your payment plan to your needs.